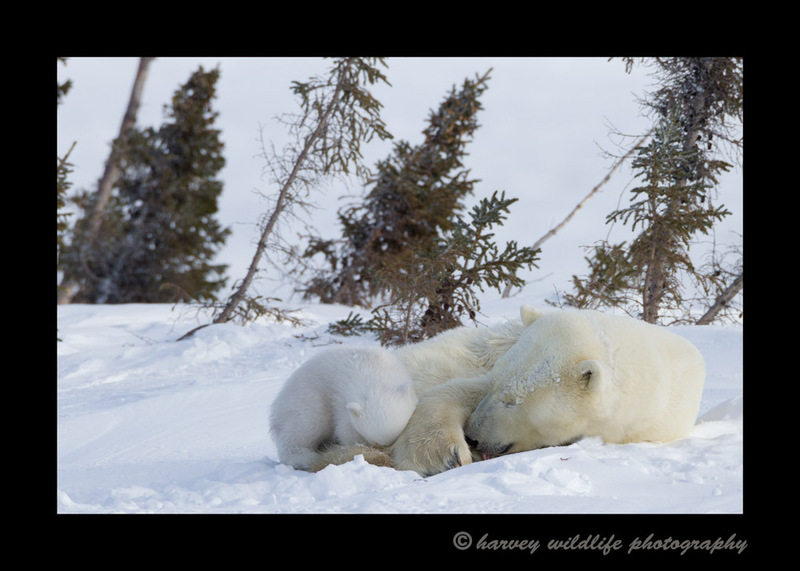 Resting II: Polar Bear moms and cubs near Churchill, Canada. There are actually two polar bear cubs in this picture. The second cub is warmly tucked against her mother's tummy underneath her legs.